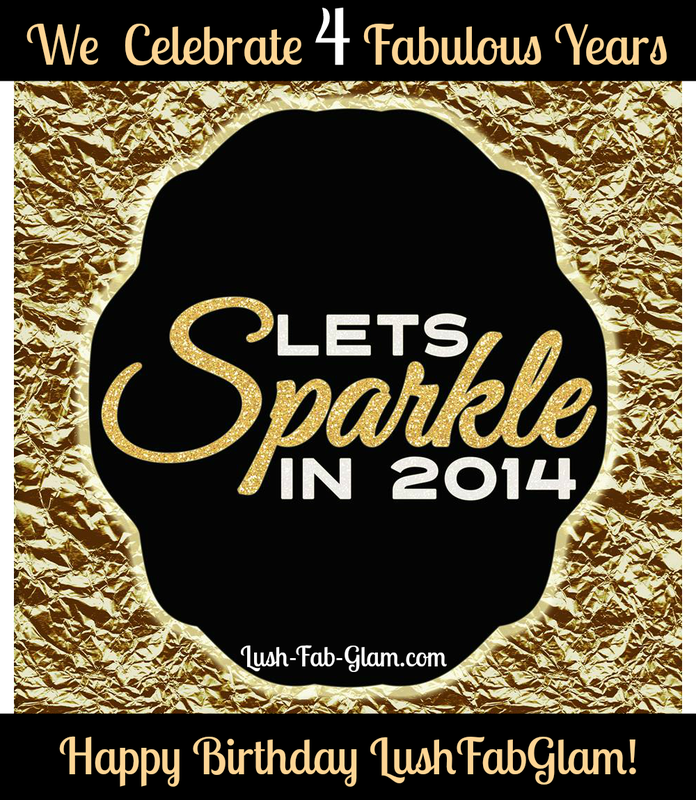 Lush Fab Glam Inspired Lifestyle For The Modern Woman: Lush Fab Glam Blogazine Turns 4 Today. Let's Sparkle In 2014! Lush Fab Glam Blogazine Turns 4 Today. Let's Sparkle In 2014! Hello February! We turned on our computer this morning to a Happy Birthday Lush Fab Glam message with pretty little birthday cakes on the Google search screen, what a wonderful surprise! Anyhow, yes it's our birthday today, we are a luscious, fabulous and oh so glamorous 4 years old! We can't wait to show you all the exciting things we have in store for you this month, including the launch of our Lush Fab Glam Boutique. Which will feature the hottest fashion, beauty and lifestyle; designs, accessories, products and trends as picked by our readers from our most read/loved articles. Plus we will feature fabulous and unique items picked by our editor and even exclusive discounts! Now you can shop all the amazing items you've seen in our posts long after they no longer appear on our home page. Essentially we are taking the hard work out of browsing for the things we feature that you love. Now you can enjoy the pretty photos, even pin or share them and best of all you can snap-up your faves in a flash! Beautiful and unique new items will be added to the boutique every month and a post will be published to feature them to you. If you haven't already signed up for our newsletter: Click Here To Subscribe for your V.I.P access and to be the first to see the fabulous items when the Lush Fab Glam Boutique launches! As always we love to hear from you so share with us by leaving a comment below. Love you blog, happy anniversary.